Lemons are the perfect addition to your recipes if you want to serve up zingy, lip smacking, crowd-pleasing eats. We love working them in to everything from crisp salads and savoury mains to delicious desserts and refreshing cocktails. Lisa and I have had our fair share of lemonade stand-offs. We used to set up shop 15 paces apart to see who was the superior street salesperson. Her stand always had a lineup down the block. Maybe it was because I would sell for a buck-a-cup while she gave it away. Or could it have been that while I poured warm lemonade from a carton, hers was icy cold and hand-squeezed? But those days are behind us now. Today, we both agree lemons are the perfect addition to your recipes if you want to serve up zingy, lip smacking, crowd-pleasing eats. We love working them in to everything from crisp salads and savoury mains to delicious desserts and refreshing cocktails. So we've rounded up our all-time favourite lemon-infused recipes to share with you. Prepare to pucker up and get ready to dig in to this selection of fresh and fantastic lemony fare. 1) Thin-skinned lemons tend to be the juiciest. 2) Buy a good hand-held juicer -- it will help you get the maximum amount of juice from lemons without exerting yourself. 3) If juicing by hand, heat the lemon in the microwave for 30 seconds and then roll it on the counter with your hand before squeezing. 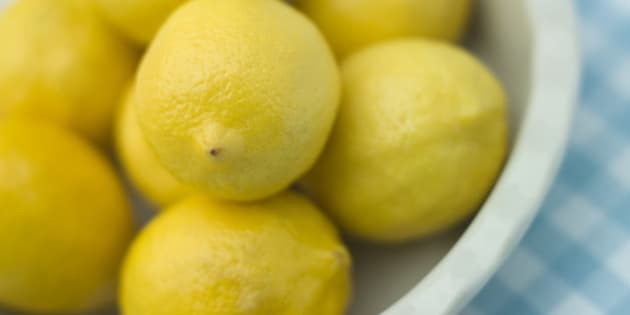 And remember: 1 lemon= 3-4 tablespoons of lemon juice. Zingy, tart, and lip-smackingly-delicious, get ready to dig-in and enjoy! Think Queen B is the only one serving up lemonade this season? Our stand is lined up ‘round the block thanks to this hit-making collection of lemon-centric recipes.